This book is dedicated to all the citizens of the United States of America who have made this program of interplanetary exploration possible and who, along with all mankind, will benefit from the increased awareness of the universe and how the Earth and its peoples relate to it. 1. Jupiter, Giant of the Solar System. 2. 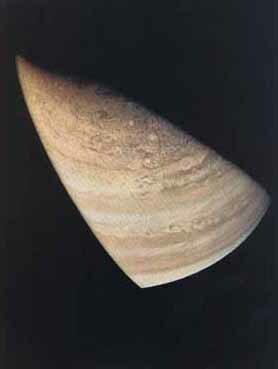 The Pioneer Jupiter Mission. 3. The Pioneer Jupiter Spacecraft. 4. Pioneer Science at New Frontiers. 5. First Into the Outer Solar System. 6. Results at the New Frontiers. 7. How Pictures Came from Jupiter. 8. Encounter with the Giant. Appendix 1. The Imaging Photopolarimeter. Appendix 2. Technical Details of Jupiter Images. Appendix 3. The Pioneer Jupiter Team. Appendix 4. The 1974 Pioneer 10 Award Recipients.